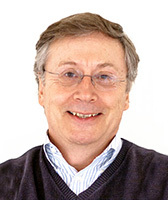 Tom Palaima developed as an undergraduate mathematics major a deep passion for ancient Greek language, literature, history and culture under the influence of two inspirational mentors, David Gill, S.J. and Carl Thayer, S.J. Since childhood he has been deeply moved by human trauma and how its effects are expressed in human lives. He is certain that these two interests are intermeshed. He is the Robert M. Armstrong Centennial Professor of Classics and director of the Program in Aegean Scripts and Prehistory (PASP) at the University of Texas at Austin. While a MacArthur fellow (1985-1990), he founded PASP, a research center concentrating on three scripts (Cretan Hieroglyphic, Linear A and Linear B) of the prehistoric Aegean area in the second millennium BCE and collaborative study of their texts. PASP has archives of early researchers, especially pertaining to attempts to decipher the scripts (Linear B successfully in 1952). Primary resources include offprints, work notes, correspondence and tablet photographs, all made accessible through systematic finding aids. Palaima and PASP have been long been involved with the monograph series Aegeaum, the scholarly journal Minos, and bibliographical databases. PASP regularly hosts visiting scholars for periods of intensive study and teaching. PASP has been archiving and digitizing its most important holdings, under the able guidance of Elizabeth Sikkenga, Sue Trombley, Christy Costlow Moilanen, Dygo Tosa and Sarah Buchanan; and is now, under the direction of Dr. Kevin Pluta, supporting Reflectance Transformation Imaging (RTI) of Linear B tablets and other kinds of inscriptions. Palaima’s work in Aegean prehistory, as a student of the late Emmett L. Bennett, Jr., is grounded in the study of the tablets and their texts and cultural contexts. His work has covered many aspects of life in the Mycenaean period: writing and literacy (including doodles); paleography and scribal administration; feasting rituals; the ideologies of kingship and manipulation of power; personal and official naming practices; warfare; religion; phusis, metaphusis, and kosmos; labor mobilization; power manipulation; and larger comparative historical evaluations. Palaima has written and lectured widely on human creative responses to war and violence and on music and songs as social commentary. 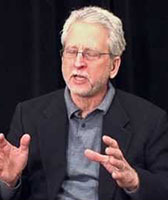 Since 1999, he has been a regular contributor of political and cultural commentaries to the Austin American-Statesman (and occasionally other periodicals) and of book reviews and feature pieces to the Times Higher Education, The Texas Observer and Michigan War Studies Review. Recent topics include the war poems of Robert Graves and their classical antecedents; violence in ancient Greek literature; the kinds of war stories, poems and songs that appeal to combat veterans, ancient and modern; the modern literary use of classical writing about warfare; hard-traveler songs from Homer to Bob Dylan; the concept and practice of mentoring, and time and thought in higher education. Palaima is a fellow of the Society of Antiquaries, London. He has been awarded three Fulbright fellowships (Greece 1979-80, Austria 1992-93 and Spain 2007) and an honorary doctorate from the University of Uppsala 1994. 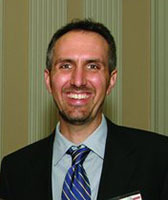 Kevin Pluta is the research and project director in PASP. His research involves Mycenaean administration, literacy, and scribal procedures. He has been involved with several projects in Greece, most recently with the imaging of the Pylos tablets for the publication of Palace of Nestor IV. 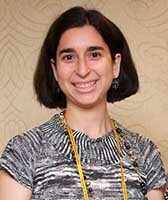 Joann Gulizio is Lecturer and Post-doctoral Fellow in the Classics department at UT Austin. She specializes in the study of Mycenaean religion, focusing on evidence offered by the Linear B tablets. 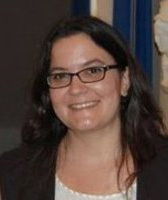 Her dissertation, Mycenaean Religion at Knossos, evaluated the evidence for religion during the Mycenaean phases of occupation at the site of Knossos by examining the textual evidence for religion contained in the Knossos tablets in conjunction with the contemporary archaeological and iconographical evidence from the site itself. Joann also works as a ceramics specialist at the Bronze Age site of Iklaina in Messenia, Greece under the direction of Dr. Michael Cosmopoulos of the University of Missouri-St. Louis. She received her Ph.D. in Classical Archaeology from UT Austin in 2011. 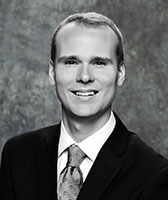 Garrett R. Bruner received his MSIS from the University of Texas School of Information in 2017. His focus is archives, digital preservation and databases. He serves as PASP’s archivist. He acts as Registrar and database manager to the Oplontis Project under director Dr. John Clarke and also works at the Texas State Libraries and Archives Commission. Cassandra Donnelly comes to PASP with an interest in the Eastern Mediterranean’s Late Bronze Age scripts Linear A and B, Cypro-Minoan, Ugaritic, reduced cuneiform and Western Peripheral Akkadian. She’s particularly interested in writing practices, the material and formal expressions of those scripts (tablet shape, formatting, etc) and the interactions between these various script practices. To that end, she’s developed a particular fondness for Cypro-Minoan writing practices, which seem, on the hand, to draw heavily from its neighbors, and, on the other hand, look nothing like them. In September 2018, Cassandra was announced as a recipient of the CREWS Visiting Fellowship. In the 2019 summer, she will continue her research on Cypro-Minoan scripts at the University of Cambridge. 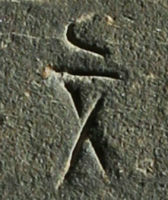 There, she will also investigate the Reduced Cuneiform alphabetic script of Syro-Palestine. Aren studies the Hebrew Bible and the Ancient Near East with a focus on Northwest Semitic epigraphy, cultural contact, and comparative Semitic linguistics. So far his research has concentrated on the early alphabetic inscriptions from Serabit el-Khadem and Wadi el-Ḥôl, the sub-grouping of the Semitic languages, and the linguistic dating of biblical texts. His dissertation, “Athtart: The Transmission and Transformation of a Goddess in the Late Bronze Age,” examines the cults of the goddess Athtart in Ugarit, Emar, and Egypt between 1450 and 1180 BCE in order to better understand cultural contact in the ancient world. 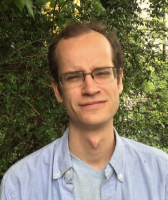 Kevin is a first-year graduate student in the Department of Classics. He earned his M.A. 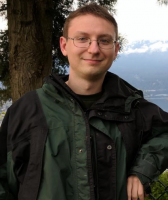 from the University of British Columbia in 2016, and is now pursuing his Ph.D. in Classical Archaeology. His research focuses on the emergence of cities and states in Iron Age Italy (c. 1000-100 B.C.). 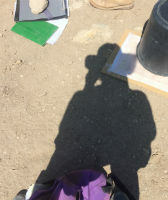 He does various projects for PASP, such as creating RTI files of the Pylos Tablets, preparing the correspondence between Emmett L. Bennett, Jr. and Alice Kober for online publication, and editing a film script. He has been pleased to learn the names and contributions of the major figures behind Linear B’s decipherment, in particular Alice Kober and Bedřich “Hittite” Hrozný. John Huehnergard is Professor of Middle Eastern Studies at UT Austin and Professor emeritus of Semitic Philology at Harvard University. His research focuses on the comparative and historical grammar of the Semitic languages. He also has a long-standing interest in writing systems and scripts, and teaches a large undergraduate lecture course on writing and literacy and an undergraduate seminar on decipherment. 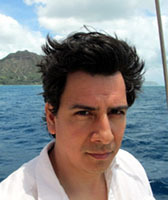 Dimitri Nakassis is associate professor in the Department of Classics at the University of Colorado. He received his B.A. in Classical Archaeology from the University of Michigan, and his M.A. in Greek and Ph.D. in Classical Archaeology from the University of Texas at Austin. 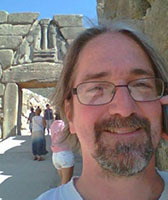 His research focuses on the archaeology and scripts of the Aegean Bronze Age, in particular the administrative practices of the Mycenaean state. He has published articles on Linear A, Homer and Hesiod, archaeological survey, Greek religion and history, and Mycenaean economy, society and prosopography. He is the author of Individuals and Society in Mycenaean Pylos (Leiden 2013), and is co-director of the Western Argolid Regional Project, an archaeological field survey in southern Greece. Sarah Buchanan was a Ph.D. student in Information Studies and acted archivist at PASP between 2013-2016. 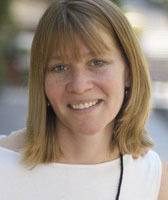 She is now an Assistant Professor at the University of Missouri within their Library and Information Science program. 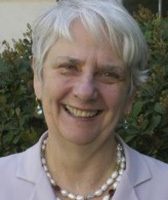 Her research interests include museum archaeology, digital classics, and archives.